need a script to press ok or enter or any key when this message appear on desktop,is possible? Once you run it - you can find it in system tray. There you can change the settings language from German to English. For this find in tray the CliclOff tool - then right click on the tray - find EINSTELLUNGEN. There you can see German.lng in the list. Click on it and select Engilish. Now wait till your error gets out with Ok button. 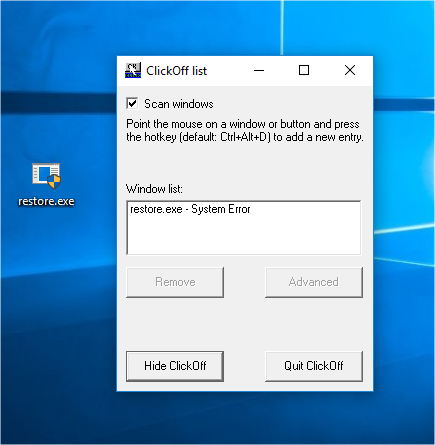 In the System Tray right cick on ClickOff and select Add Window. Select your error windows. So that you have it in the list. Update: the clickoff works perfectly for me. ClickOff works definitely. I've tested it on Win10 right now. 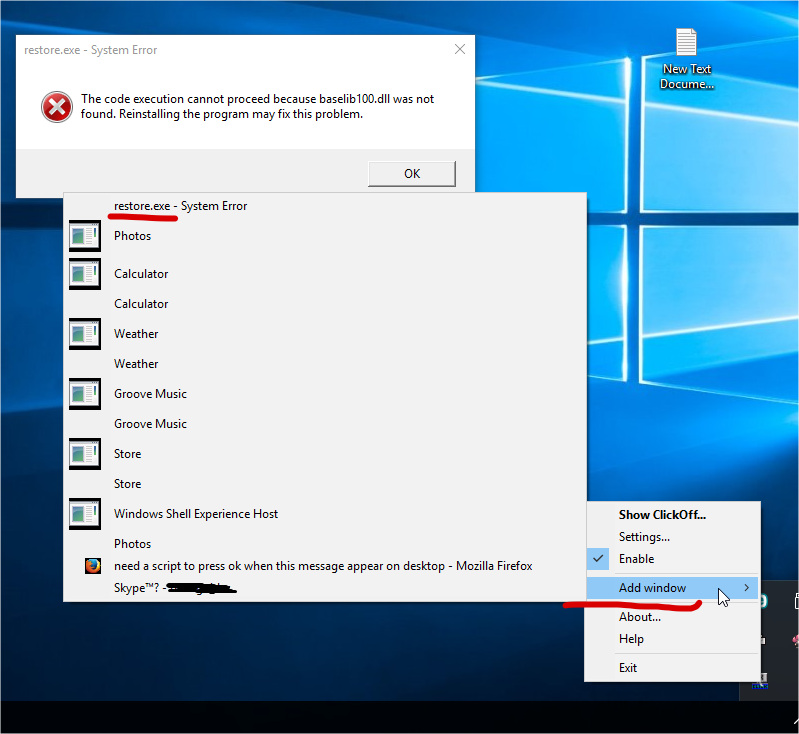 Right click on ClickOff icon - Add Windows - there in the list select your error window. See my example. Note, the Enable and Always scan must be also on. i must wait at least 20 min until that error appears,i will tell you the answer here,i use that tool inside rdp not in my pc....ok! Yes, this is what the error was referring to in your original post. Check where you can change the idle state time. Then you have to ask your Administrator for settings changing. No tool will do for you what you need if you do not have passing rights.